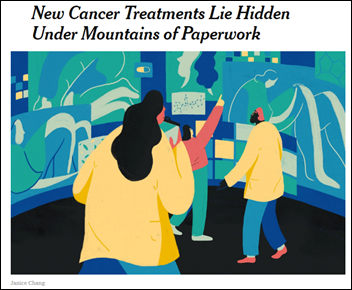 A New York Times article says that hospital EHRs are a “medical records mess” that impede research efforts because of incompatible data formats and the reluctance of health systems to share their patient data. The creator of the Metastatic Breast Cancer Project says that genetic tumor analysis is easy compared to manually reviewing hospital charts that are always delivered as paper copies or faxes. He also noted that health systems ignore the patient-approved medical records requests more than 50 percent of the time. 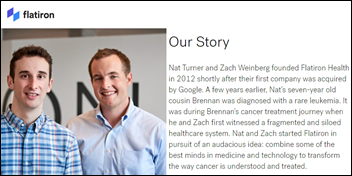 The article notes that six-year-old oncology EHR and data vendor Flatiron Health – sold to drug maker Roche for $1.9 billion early 2018 by its 31- and 32-year old co-founders — has published the de-identified hospital records of 2.2 million cancer patients, but it took 900 nurses and tumor registrars to extract the 50 percent of required data elements that were stored as unstructured text. This naturally means that the software or database must not change things around often, if at all. There should be little upside to upgrading and much downside to screwing up or changing the rules. Most industries are not like this. Most industries require new features or upgrades and the freedom to change and expand as necessary. Given that blockchains are hard to upgrade, hard to change, and hard to scale, most industries don’t have much use for a blockchain. The one exception we’ve found is money. May 24 (Thursday) 1:00 ET. “Converting Consumers into Patients: Strategies for Creating Engaging Digital Experiences People Demand.” Sponsor: Healthwise. Presenters: Antonia Chappell, director of consumer solutions, Healthwise; Josh Schlaich, senior product manager, Healthwise. Nearly three-quarters of US adults use a digital channel to manage their health and the internet to track down health information. It’s clear that consumers have come to expect online interactions as an integral part of their overall patient experience. In fact, the Internet may be the first way people come in contact with your organization. They have more choice than ever on where to get healthcare services, and their decisions are increasingly influenced by how well organizations connect with them in the digital space. This webinar will show you how to create engaging digital and web experiences that convert casual consumers into patients and keep them satisfied throughout their entire patient journey. June 5 (Tuesday) 1:00 ET. “Increase Referrals and Patient Satisfaction with a Smarter ‘Find a Doctor’ Web Search.” Sponsors: Phynd Technologies, Healthwise. Presenters: Joseph H. Schneider, MD, MBA, FAAP, retired SVP/CHIO, Indiana University Health; Keith Belton, VP of marketing, Phynd. A recent survey found that 84 percent of patients check a hospital’s website before booking an appointment. However, ‘Find a Doctor’ search functions often frustrate them because their matching functionality is primitive and the provider’s information is incomplete or outdated. Referring physicians need similarly robust tools to find the right specialist and to send the patient to the right location. Attendees of this webinar will learn how taxonomy-driven Provider Information Management improves patient and referrer satisfaction by intelligently incorporating the provider’s location, insurance coverage, specialty and subspecialty, and services offered that can be searched via patient-friendly terms. 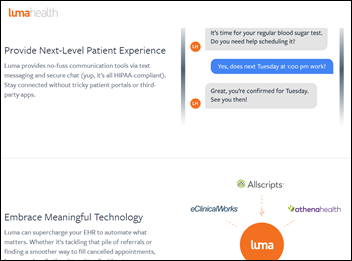 Patient communication and appointment management system vendor Luma Health raises $6.3 million in a Series A funding round, increasing its total to $9.7 million. Doctor house call provider Heal raises $20 million in funding, increasing its total to $69 million. The service operates from 8 a.m. to 8 p.m. in parts of California and Washington, DC, with house calls covered by some insurance plans or $99 otherwise. Singer Lionel Richie is a company investor and pitchman. Athenahealth’s second-largest shareholder — London-based Janus Henderson Investors, which owns 11.9 percent of the company — urges Athenahealth’s board to put the company up for sale. Meanwhile, Deutsche Bank thinks the company is worth $170 per share, but warns that the company’s suitor, activist investor Elliott Management, takes a long time to close deals. ATHN shares rose slightly Tuesday to around $154. The US Supreme Court sides with Epic and two other companies in finding that mandatory employee arbitration and non-disclosure agreements are enforceable, meaning employees may not organize together to file workplace-related class action lawsuits. Columbus Regional Healthcare System (NC) chooses Cerner Millennium via the CommunityWorks hosted model. Australia’s NSW Health names Sectra as its preferred RIS/PACS vendor. Todd Plesko (Vocera) joins Management Health Solutions as CEO. HHS CTO Bruce Greenstein joins home health provider LHC Group as chief innovation and technology officer. 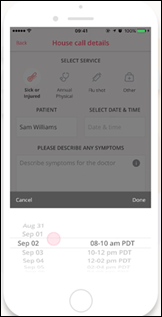 InstaMed announces Engage, a patient app that allows patients to check in for visits via Bluetooth beacon alerts or text messaging, view benefit information, pay for services with a digital wallet, and enroll in payment plans. 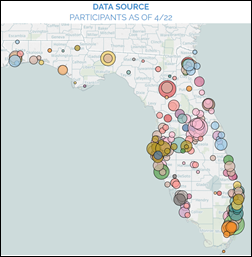 Adventist Health System joins Florida HIE’s Encounter Notification Service to monitor out-of-network admissions, facilitate transfers, and plan discharges, The services is operated in partnership with Audacious Inquiry. A Black Book survey of 900 physician organization finds that medical practices are moving to value-based care instead of selling out to health systems, with two-thirds of practices with 10 or more doctors planning to hire consultants in the next year to help them transform their operations. Nearly all respondents say they need outside help with implementing value-based care and population health management as well as choosing new software needed for those efforts. A new KLAS report finds that most organizations are missing at least some elements of a mature enterprise imaging strategy in the categories of IT support and funding, the ability to electronically ingest images, defining an encounter-based imaging strategy, and applying strong governance. Most of those that have deployed a VNA and universal viewer are not fully meeting the four goals of image access, physician productivity, care collaboration, and data management, with customers of IBM Watson (Merge Healthcare) and Agfa performing best. 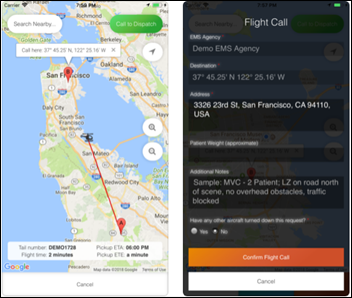 Life Flight Network launches an Uber-like mobile app that allows hospitals and first responders to request its air ambulance transport services. COPD disease management app vendor HGE Health partners with Change Healthcare to support population health management and improve health plan-provider communication in managing chronic conditions. The House passes a bill that would require the VA to provide Congress with regular updates on its Cerner project and to notify lawmakers promptly if it experiences contract or schedule changes, milestone delays, bid protests, or data breaches. A federal report finds that 40 percent of Americans would have to borrow money or sell something to pay an unexpected $400 expense, which is at least better than 2013’s 50 percent. The report also says that 25 percent of people have zero retirement savings. 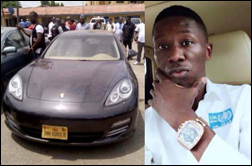 A 28-year-old doctor in Nigeria is arrested for hacking into bank accounts and for creating fake payment notices to car dealers to steal cars, including an $80,000 Porsche. He says Nigerian banks are easy to hack and claims to have targeted actors such as John Travolta. An investigation by Ireland’s data protection commissioner finds that hospitals are giving patient records to researchers without the patient’s consent. It also notes the presence of employee snooping, lack of computer audit trails, insurance companies being given full access to a patient’s medical history, and patient information being discussed in public areas where it could be overheard. 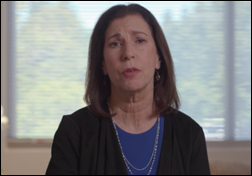 Sutter Health President and CEO Sarah Krevans addresses last week’s system downtime in a video message to employees, deeming it unacceptable that clinical services were impacted “despite all of our planning, our protocols, our investment in technology, despite our emergency systems.” Meanwhile, two anonymous Sutter Medical Center nurses say the hospital, unlike other Sutter facilities, continued to perform elective surgeries even though the surgical team did not have access to the history and physical information of patients. 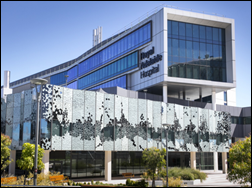 In Australia, an investigation into February’s hospital-wide power outage at Royal Adelaide Hospital finds that its facilities management company ignored erroneous low-fuel warnings from its diesel generators, not realizing that the false alarms prevented the fuel tanks from filling and caused the generators to run out of fuel during system testing. 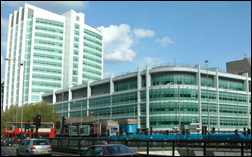 In England, University College London Hospitals partners with an artificial intelligence institute to explore automating ED triage, sending appointment reminders, and analyzing images for research projects. Marketers from addiction treatment centers, which are making fortunes from treating insured opioid addicts, are joining private Facebook addiction support groups to recruit patients, sometimes posing as concerned strangers. Some have been arrested for taking kickbacks for referring patients to rehab companies. The owner of a marketing company that runs a support website sued a treatment center for unpaid patient recruitment fees totaling $700,000 in 18 months from just that single facility. Mary Washington Healthcare (VA) reprises its outstanding, “Hamilton”-themed EHR video from last year with a sequel that celebrates its Epic go-live next week. A Georgia plastic surgeon who refers to herself as “doctor to the stars” and who made 20 YouTube videos of herself singing and dancing over unconscious surgery patients is being sued by several patients for malpractice. Windell Davis-Boutte, MD recently settled a case in which a patient claimed to have been left with permanent brain damage after an eight-hour tummy tuck procedure. Her website claims she’s board certified in both surgery and dermatology, but state records indicate that she is certified only in dermatology. The Texas Hospital Association endorses Collective Medical’s care collaboration network for identifying and supporting complex patient populations and for manage ED usage and ED opioid prescribing. Access releases ESignatures 8.0, which includes a patent-pending handoff function. Meditech associate VP Larry O’Toole joins CommonWell’s board. Black Book names Impact Advisors as a leading cybersecurity consulting firm. Bernoulli Health will exhibit at the 108 IHI/NPSF Patient Safety Congress March 23-25 in Boston. CompuGroup Medical will exhibit at COLA – Symposium for Clinical Laboratories May 30-June 2 in Miami. Collective Medical Clinical Advisory Board Member Anne Zink, MD wins several ACEP awards. Conduent is named to the Fortune 500 list of largest US companies. The 2018 EPA National Adoption Scorecard from CoverMyMeds wins a Stevie Award for Best Annual Report. Dimensional Insight will exhibit at the MUSE International Conference May 29-June 1 in Orlando. Columbus Regional Health System (CRHS) in Georgia is implementing Epic as part of their acquisition by Piedmont Health in Atlanta. I believe the “Columbus” being referred to in the Cerner press release is up near Wilmington, NC. Thanks, fixed. I’ve told Cerner before that it drives me crazy that their website omits the dateline of the announcement and the announcement itself omits the city/state of the hospital, leaving me to take a guess. Is Martin Shkreli really the one who contributed the link to the blockchain article? I liked the article (always like articles that deflate hype), but I did not think Mr. Shkreli would have internet access, if he is living where I think he is living. I’m going to guess that it was not the real Pharma Bro, who I believe is housed at Fort Dix Federal Prison, which despite being a minimum security facility, does not provide Internet access to its residents. Yet another win for employers over employees which is no surprise given this SCOTUS and previous Roberts’ opinions. Libertarians constantly argue that the courts should used by consumers and employees to right imbalances committed by businesses or employers yet how do they do that when they can’t use the courts to do so in class-action law suits and instead get crushed in arbitration-rigged courts to handle any litigation? Is Sutter claiming that there were not any adverse events due to all records of all patients having gone black in one fell swoop? Did any patients die from the delays in care? Sutter had another Epic crash circa 2013. When will they ever learn…? When will they ever learn? as the song goes.